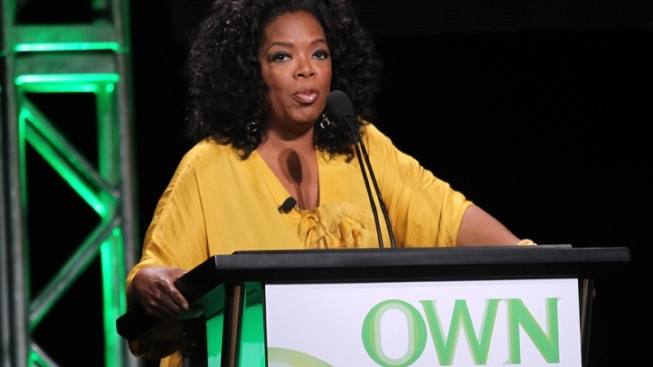 Is Oprah Winfrey on the Microsoft/Apple fence? Oprah Winfrey just loves Microsoft's new Surface tablet -- even though she appears to still be using an iPad. Winfrey sent out an enthusiatic tweet Sunday about the Surface, including it in her list of "favorite things for the holidays, but the social media sphere is buzzing over the fact that the tweet was sent out on an iPad. Ironic? Most definitely, although it's hard to imagine Oprah physically doing her own tweeting when any one of her many assistants would likely be glad to take care of the typing. Winfrey says she's already bought 12 of the Microsoft items as Christmas items.